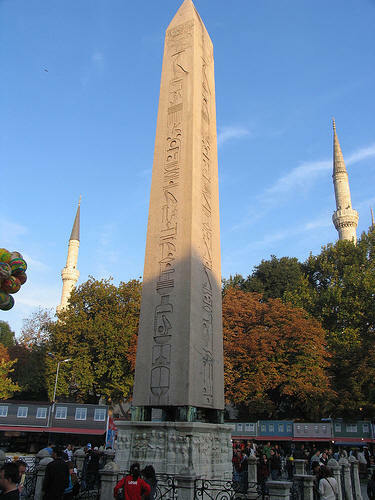 The Turkish and Islamic Arts Museum (Turkish: Türk ve İslam Eserleri Müzesi) is a museum located in Sultanahmet Square in Eminönü district of Istanbul, Turkey. Constructed in 1524, the building was formerly the palace of İbrahim Pasha1, who was the first grand vizier to Suleiman the Magnificent. The collection includes notable examples of Islamic calligraphy, tiles, ceramics, metalwork, woodwork, miniatures and some of the oldest rugs in the world as well as ethnographic displays on various cultures in Turkey, particularly of nomad groups. These displays recreate rooms or dwellings from different time periods and regions. The Ibrahim Pasha Palace located around four big internal courtyards has been made of stone in contrast with many Ottoman civil buildings, most of which are wooden. It could therefore reach today. However, it has been renovated between 966 - 1983 and now functions as the Turkish and Islamic Arts Museum. The museum is the biggest ceremony hall of the palace and the 2nd courtyard surrounding it displays relevant Ottoman miniatures, gravures and tables of Western artists. Turkish and Islamic Arts Museum has been awarded with the Special Jury Award of Museum of the Year Competition of the European Council in 1984 and with the prize given by European Council – UNESCO. 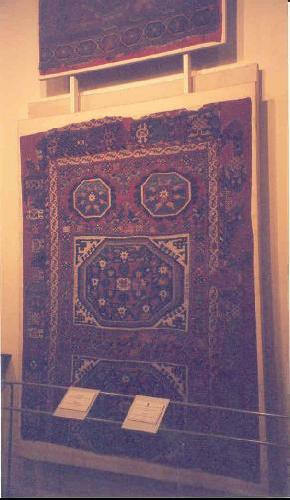 The carpet section has the richest collection of carpet art in the world; it is considered as a "Carpet Museum". The museum has the richest carpet collection of not only Turkey, but also of the world. Besides rare Seljuk carpets, prayer rugs and animal figured carpets belonging to the 15th centuries and the carpets produced in Anatolia between the 15th - 17th centuries and called as "Holbein Carpet" in the West inspired by the geometrically figures or kufi writing are the most valuable parts of this section. 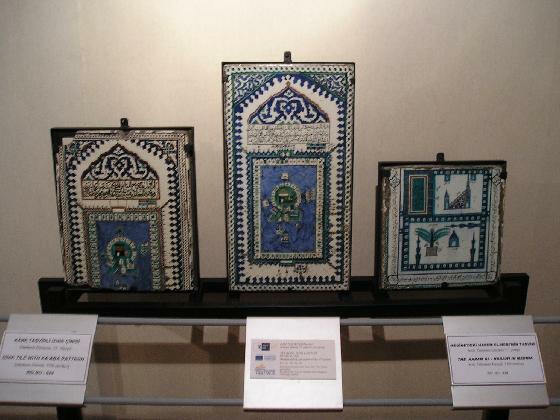 Various samples of Koran displayed in the museum constitute a big part of the writing collections covering the time periods of [7th century-20th century] and represent the large geographical Islamic regions of the world. 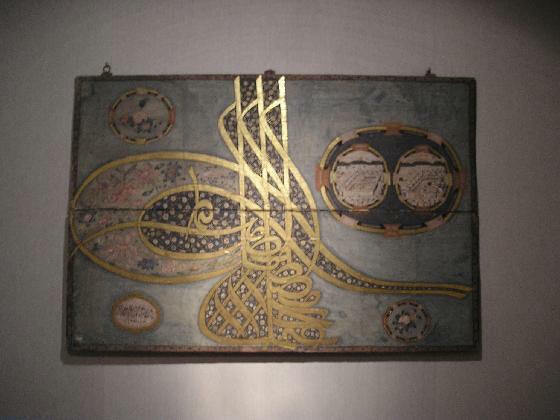 It is one of the superb collections in which the Emevi, Abbasi, Egypt and Syria Tulunoğulları, Fatımi, Eyyubi, Memluk, Moğol, Türkmen, Seljuk, Timuri, Safavi, Kaçar and Anatolian Principalities and the Ottoman calligraphy creations can be observed and worked out sequentially. Among the hand writings, except Korans, there are books (some of them with pictures) written about various subjects and these draw attention both in terms of their writing styles and their coatings. 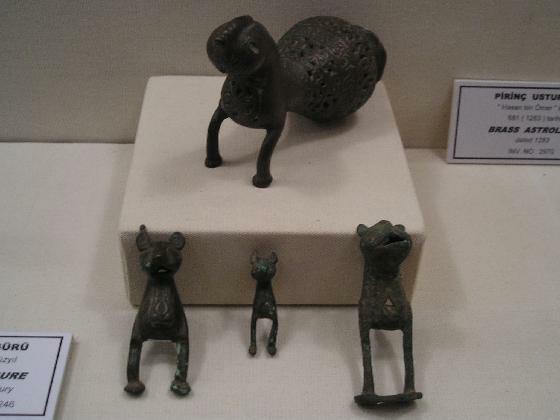 In this collection consisting mostly of the ceramic works found in the excavations made between 1908 -1914, the ones from Samarra, Rakka, Tel Halep, Keşan are in the first ranks. It is possible to see the stages of Early - Islamic Period ceramic art in the collection of Turkish and Islamic Works Museum. The mosaic, mihrab and wall encaustic tile samples belonging to the Anatolian Principalities and Seljuk Periods and the plaster ornaments of Konya Kılıçaslan Palace constitute another important part of the collection. Ottoman encaustic tile and ceramic art samples end with near - period Kütahya and Çanakkale ceramics. Turkish and Islamic Works Museum Metal Art Collection starting with the unique samples belonging to the Great Seljuk Empire period and mortar, censer, long - spouted ewer, mirror and dirhems constitute an important collection with the door knockers of Cizre Ulu Mosque and the 14th century candelabrums ornamented with constellation and planet symbols, which have an important place in Islamic metal art. Pargalı İbrahim Pasha or Frenk İbrahim Pasha was the first Grand Vizier appointed by Suleiman the Magnificent of the Ottoman Empire (reigned 1520 to 1566). In 1523, he replaced Piri Mehmed Pasha, who had been appointed in 1518 by Süleyman I's father, the preceding sultan Selim I, and remained in office for 13 years, till 1536, during which time he attained a level of authority and influence rivalled by only a handful of other grand viziers of the Empire. Greek by birth, born in the town of Parga, he was sold as a slave at the age of six to the Ottoman palace for future sultans situated in Manisa in Western Anatolia. There he befriended Suleiman who was of the same age, and later, upon Suleiman's accession, was awarded various posts, the first being falconer to the Sultan. He was so rapidly promoted that at one point he begged Suleiman to not promote him too rapidly for fear of arousing jealousy. Pleased with this display of modesty, Suleiman purportedly swore that he would never be put to death during his reign. Later, after being appointed Grand Vizier, he continued to receive many gifts from the sultan, and his power in the Ottoman Empire was absolute, just as his master's. Amongst many titles, he was also unofficially known as "the most beautiful man in the empire". Although he married Süleyman's sister and was as such a bridegroom to the Ottoman dynasty (Damat), this title is not frequently used in association with him, possibly in order not to confuse him with other illustrious grand viziers who were namesakes (Damat İbrahim Pasha (a Bosniak) and Nevşehirli Damat İbrahim Pasha (Turkish). He is usually referred to as "Pargalı İbrahim Pasha" or "Frenk (the European) İbrahim Pasha" due to his tastes and manners. Yet another name given by his contemporaries was "Makbul Maktul (loved and killed) İbrahim Pasha". 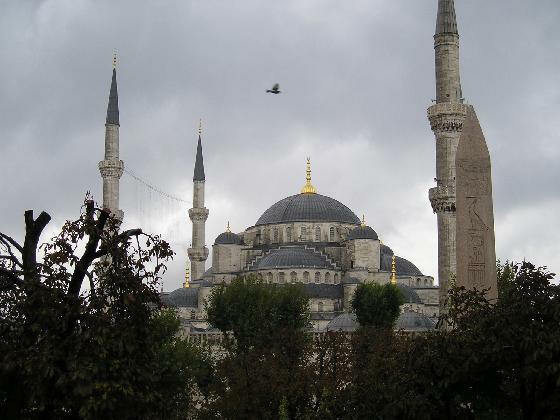 His magnificent palace still standing in İstanbul is called Turkish and Islamic Arts Museum. 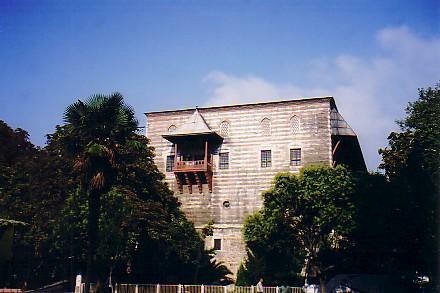 Attribution of Slavic, Italian (more precisely Genoese) or even Albanian or Jewish origins to this accomplished polyglot, mainly of speculative value, have been put forth , but many clues referring to his period of power, such as the fact that he chose to build his palace in immediate view of Atmeydanı (today Sultanahmet Square) in İstanbul (the famed Hippodrome of the Byzantine emperors, facing Ayasofya), clearly indicate that he was Greek. 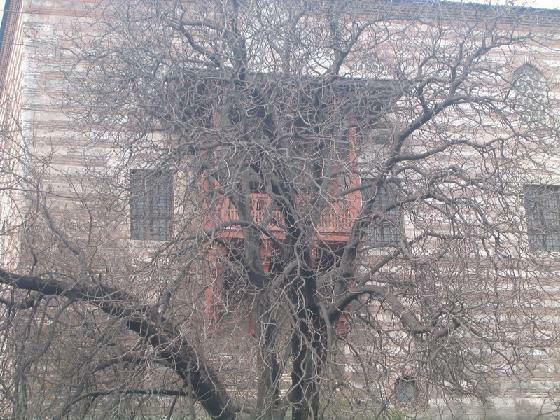 Built according to a design which is unmistakably defensive in concept (he had fearsome rivals), his palace is the only residence built by someone outside the Ottoman dynasty that deserves to be designated as a palace. 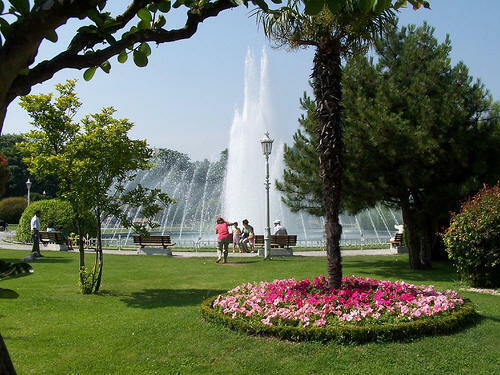 On the diplomatic front İbrahim's work with Western Christendom was a complete success. Portraying himself as "the real power behind the Ottoman empire", İbrahim used a variety of tactics to negotiate favorable deals with the leaders of the Catholic powers. The Venetian diplomats even referred to him as "İbrahim the Magnificent", a play on Suleiman's usual sobriquet. In 1533, he convinced Charles V to turn Hungary into an Ottoman vassal state. In 1535, he completed a monumental agreement with Francis I that gave France favorable trade rights within the Ottoman empire in exchange for joint action against the Habsburgs. This agreement would set the stage for joint Franco-Ottoman naval maneuvers, including the basing of the entire Ottoman fleet in southern France (in Nice) during the winter of 1543. A skilled commander of Suleiman's army, he eventually fell from grace after an imprudence committed during a campaign against the Persian Safavid empire, when he awarded himself a title including the word Sultan. This incident launched a series of events which culminated in his execution in 1536, thirteen years after having been promoted as Grand Vizier. It has also been suggested by a number of sources that Ibrahim Pasha had been a victim of Hürrem Sultan's (Roxelana, the sultan's wife) rising influence on the sovereign, especially in view of his past support for the cause of Sehzade Mustafa, Suleiman I's first son and heir to the throne, who had been strangled to death by his father on 6 October 1533, through a series of plots put in motion by Roxelana. 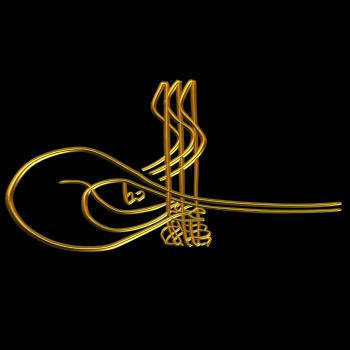 Since Suleiman had sworn not to take Ibrahim's life during his reign, he acquired a fetva, which permitted him to take back the oath by building a mosque in İstanbul. He announced the fetva one week before İbrahim's execution and dined alone with him seven times before the final move, so to give his life-long friend a chance to flee the country or to take the sultan's own life. It was later discovered in İbrahim's letters that he was perfectly aware of the situation but nevertheless decided to stay true to Suleiman.